Rabbi Max Davis currently serves Congregation Darchei Noam of Minneapolis. As the congregation’s first full time rabbi, Rabbi Davis marvels at the depth of volunteerism, enthusiasm, and intellectual and spiritual energy percolating in this steadily growing community. Rabbi Davis previously served for six years as the Rabbi of Congregation B’nai Torah, a triple-merger shul in Springfield/Longmeadow, MA, and prior to that as Assistant Rabbi at Congregation Beth Israel, Berkeley, CA. Rabbi Davis studied at Yeshivat Hamivtar (Efrat, Israel) prior to earning a BA in Urban Studies from Harvard an MA in Jewish Education from Yeshiva University. 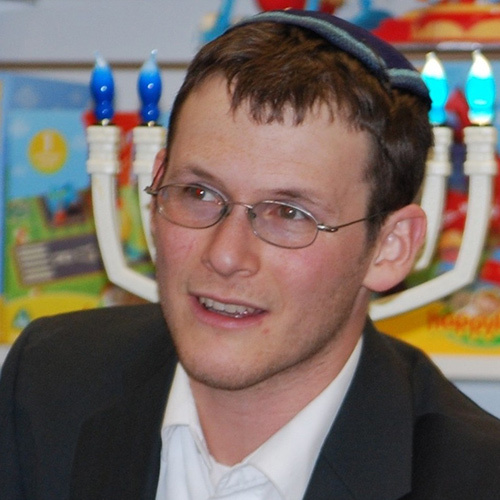 He has also taught on the Judaics faculty at Heritage Academy, Springfield, and Oakland Hebrew Day School.